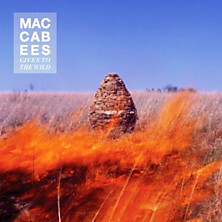 ‘Given to the Wild’ is the new and third 2012 release from London based indie band, The Maccabees. The whole sound of the album was quite a transcendental, eerie sound. The band’s first single from the album, ‘Pelican’ is fast paced, repetitive and just too damn catchy! In my perspective, it’s a song about how as we grow older, we are forced to hold more and more responsibilities on our shoulders until we die. The album starts off with a two minute instrumental, then immediately carries on into the second song, ‘Child‘. This song is one of those songs that starts off beautifully harmonious, and continues doing so until it reaches the last minute or so, where it becomes more louder and builds into a crescendo-style instrumental. There’s quite a few songs in the album that use this same technique which becomes a sort of motif of the album. The album itself is a much more refined version of the band. If you have a listen to their older stuff on their album ‘Wall of Arms’, you’ll find that it’s quite a mish-mash of different ideas and I find they don’t work as well as ‘Given to the Wild’. With better piano melodies on songs such as ‘Ayla’ and much more experimental, emotional lyrics, it makes for a much more pristine album. However, there are a few things that didn’t really stand out for me. For example, the title of the album is ‘Given to the Wild‘, and as the album artwork suggests (a picture of a bushfire in a deserted area), you would think the sound would be more similar to the sound of their first album ‘Colour It In‘, a more ‘wild’ sound, yet it is more peaceful and toned down. How can you be given to the wild if the sound is completely the opposite? If you know me well, you’ll know that I hate when you can’t hear the lyrics of a song properly. With such a good sound, the fact that vocalist Orlando Weeks doesn’t make an effort in actually enunciating his words and making sure that they’re clear to the listener ruins the experience for me. It’s only when I actually research the lyrics that I understand what he is saying fully and therefore enjoy the song a whole lot more. I just don’t understand why there is such a style in indie music of having distorted vocals and not singing like a normal person. Another point is that a lot of the songs have a habit of sounding similar to one another. I know this is bad of me, but it usually takes me a while before I become completely used to an album, and can be trusted to remember the song fully when I haven’t listened to it recently. With this album, it took me about 10 listens before I remembered most the album off by heart, which tells you something really. I found that songs like ‘Glimmer and Heave‘ (to name a few), were too similar to one another, and I just hoped that they would have more experimental songs on the album, with it being called ‘Given to the Wild‘.